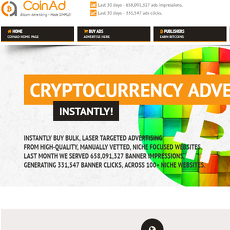 MellowAds is a cryptocurrency advertising network. They offer a number of different services including cost per thousand (CPM) campaigns, cost per click (CPC) campaigns, and network campaigns. 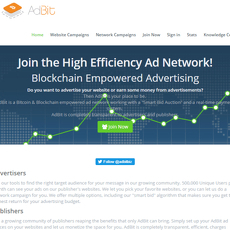 The only campaign which MellowAds makes money from is the network campaigns. MellowAds facilitate CPC and cost per thousand (CPM) campaigns for a zero fee with the advertisements payment going fully to the publisher. If you want to run a network campaign across MellowAds network of site, the network fee is 10%. 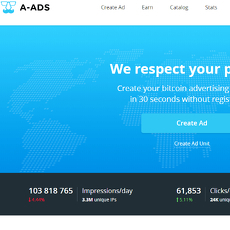 It is possible to purchase network campaigns for as little as 1000 satoshis which equate to less than $0.01. 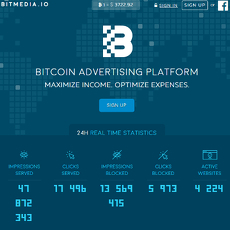 Network campaign claims to serve 250 million impressions per day. The website design is very poor and nonfunctional. When a user currently clicks on FAQ, it brings the user to the contact us page. The website does not load properly with sections scattered. There have been a lot of issues reported by the online cryptocurrency community. 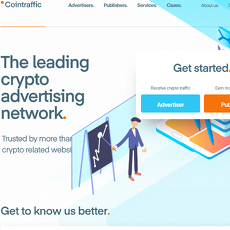 Reports include issues with the service, nonresponsiveness to support tickets and contact attempts, and using Coinhive which mines from users CPU's without warning. Many concerns raised from the online cryptocurrency community.